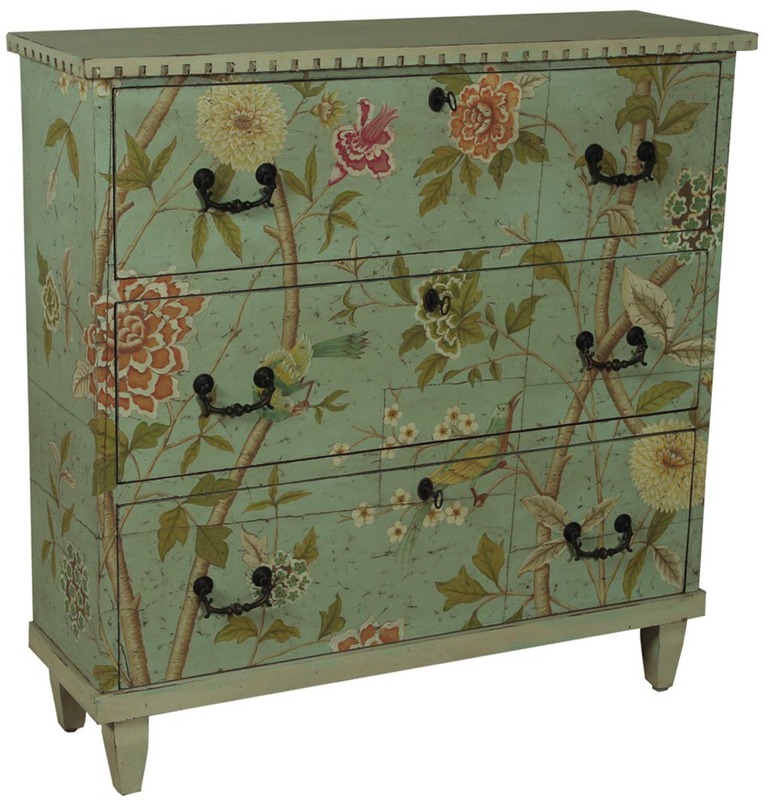 FLORAL COTTAGE CHEST - Hand-painted floral with birds motif on hand-made wall paper. Finished paper is applied on a solid wood three drawer chest finished in Stone Wedge. Antiqued bail pulls and locking hardware.